Sharat has played with musicians with contrasting styles across the world which truly makes him a global player. 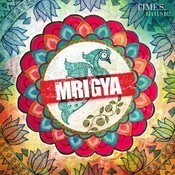 Mrigya's second album is as path-breaking as its first one. Listen to it on gaana.com, saavn.com, spotify, and MIO. 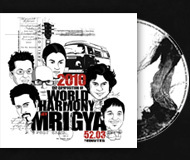 A tribute to the legendary composers of western classical music, it looks to bridge the gap between Hindustani, Carnatic and western music with Indian instruments filling in for conventional western ones with compositions trailing into ragas. Listen to it on spotify. 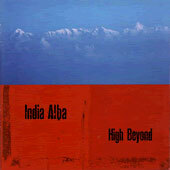 Border pipes and whistles, the deep note of the Indian drum called the tabla, violin learned in the Himalayas rather than the highlands of Scotland but playing both Scottish and Indian tunes, the melodic voice of the cittern -- all these form part of the sound of the band India Alba, made up of two Scottish musicians and two Indian ones. Their sound is natural, organic, and engaging. 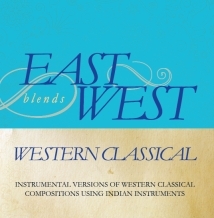 In the liner notes, they point out that many raga themes, especially those from the borders of the Himalayas, are related in sound to the melodies of the highlands and islands. Perhaps thats the reason this works so well. A follow up to their debut CD Reels and Ragas, this band have a sound of their own which is not an imitation of any other band or genre. 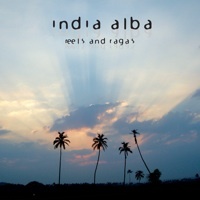 Two Scottish traditional musicians and two Indian classical musicians combine their influences to play music which shows that there are no boundaries between them. Many raga gats (themes), particularly those from the borders of the Himalayas, have close relatives in the melodies of the Scottish highlands and islands, and for both of them the drone sounds of the bagpipes or the tampura play an important part in the music. "Dark Matter" explores a darker, heavier sound than 2007's critically acclaimed "Omnesia". "dark matter" draws on intense bass, dubstep and and other electronic influences, and features moving Indian classical performances from Tabla wizard, Cassius Khan, and Violin maestro, Sharat Chandra Srivastava, and multi-instrumentalist, Jay Banerjee. Sharat was invited to join them in the recording of their album 'Marionette' which was released in 2005. The horn and vocal sections give the band a big sound live and this big sound has been boosted on Marionette by Sharat Chandra Srivastava on violin and Athar Hussein on tablas, by the precise percussion of the Peatbog Faeries Iain Copeland and the beautiful voice of Eliza Carthy. The Ramajaz fusion band has produced two albums in the space of two years, and the music is a mix of Indian, latin, flamenco, tango and jazz. When Dimitri, a top Greek saxophonist, and Sharat, classical Indian violinist, were touring Europe in June 2006, they joined Ramajaz in London, for a stunning evening of Indojazz. This culminated into the making of their 2nd album "Chennai Flamenco' which was subsequently released.